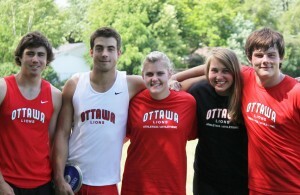 It was amazing spending the day with my throwing buddies. The atmosphere at the track was different from school track meets. You know that all these competitors train year-round and take it very seriously. 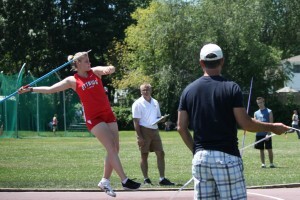 I was surprised that there wasn’t as many throwers as school meets but the ones that were there were all good. 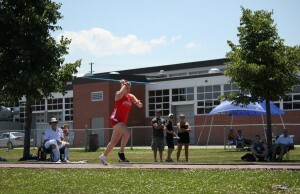 The goal of the meet was to place in the top two since the top two are invited for the Provincial Team try-outs in Oshawa next week. I love the fact that we are all competitive against each other but there is a definite respect towards one another since we all work hard and know what you have to do to get to a certain level. This is where technique really kicks in. It’s not good enough to just be strong anymore. I have such a great time with this group. 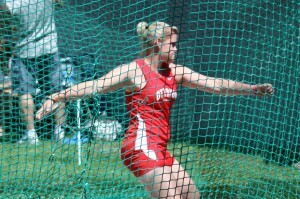 I train with them 2-3 times a week for shot put and discus. 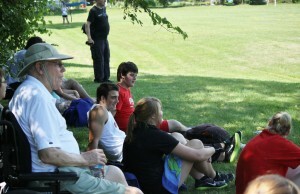 Even Grandpa was there to cheer us on. It was nice to have some ‘down’ time between events to just chill and get to know each other a bit better. 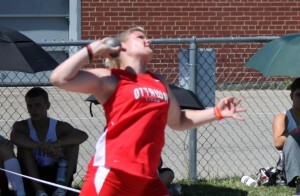 I’ve never thrown with this new shot put weight and it really felt different. 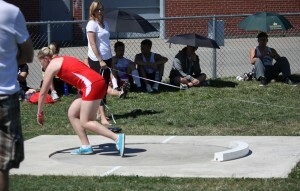 The shot put was actually lighter but the National standard is a lot further and I found it a bit harder to control. I was actually surprised that it went so well and I know it will only get better once I get used to it. 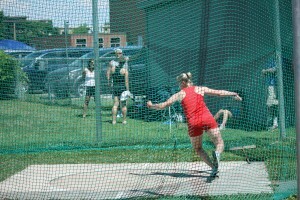 Although I didn’t qualify for the Provincial Team try-outs or the National Standard I was sooooo happy with my throws. They were all consistent and I threw a Personal Best. This is the only event that the implement was the same weight that I’ve been training with so I obviously felt the most comfortable with it. I have been having really great practices for this event and things are starting to improve at a faster pace now. I have really tough competition in this event but as I said before, I have to keep things in perspective. 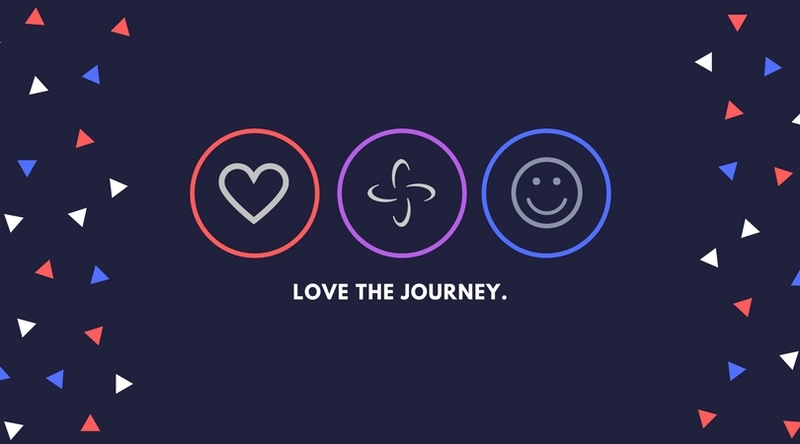 This is just the beginning for me and I’m having a blast.